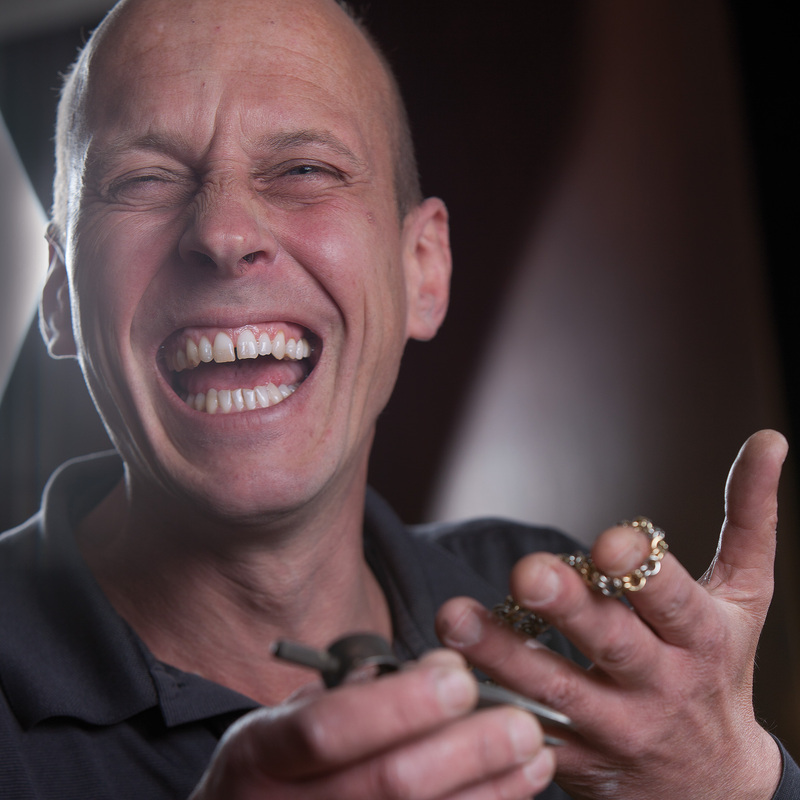 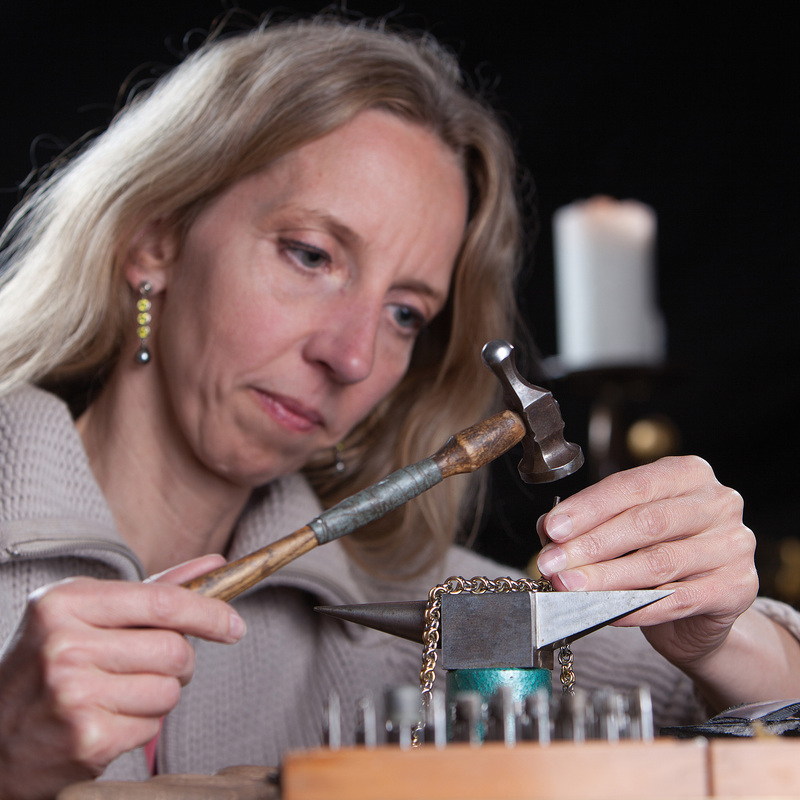 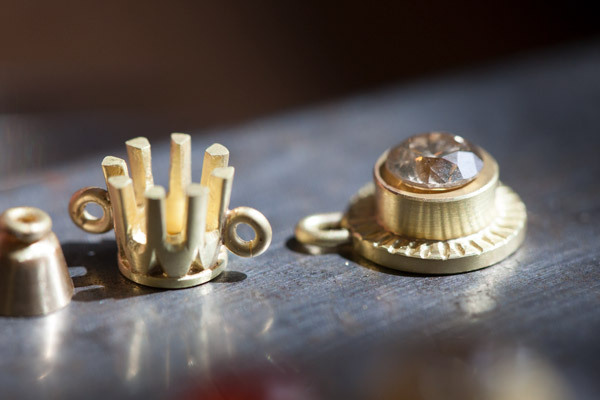 As master goldsmiths, we – Sandra and Wulf – create unique, one-of-a-kind works of jewelry art that emphasize the perception of shapes and colors, the story and the appearance of the wearer, using only the best materials to meet our exacting quality standards. 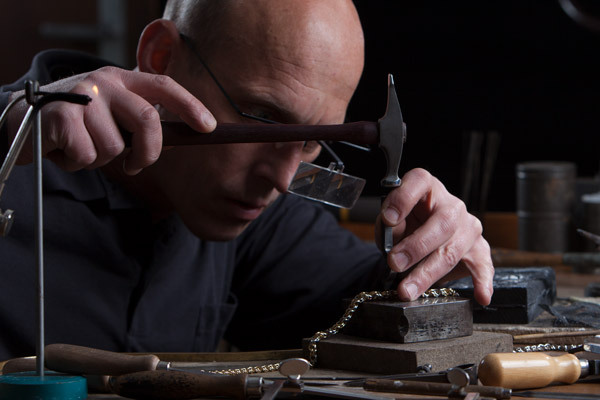 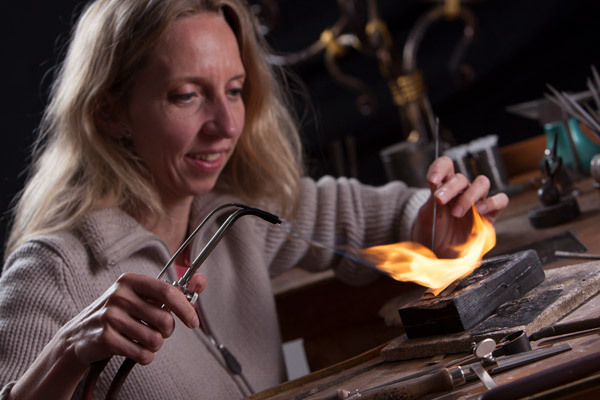 As master craftsmen with more than 30 years of experience forging jewelry, we love creating complete works of jewelry art without recourse to convenient accessories like premade retail settings, ring blanks, wax models etc. 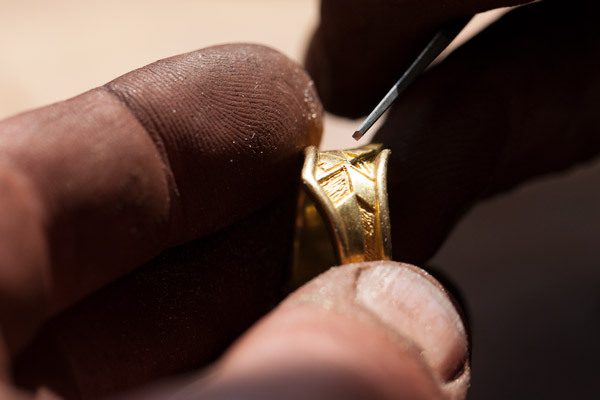 While the work is labor-intensive and demanding, this is the only way to achieve the perfect shade of gold and the right alloys to create perfectly matched pieces of jewelry. 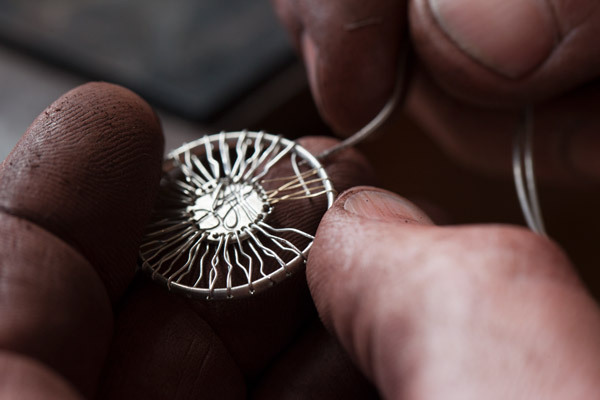 Forging the metal makes it denser and gives it an incomparable hardness. 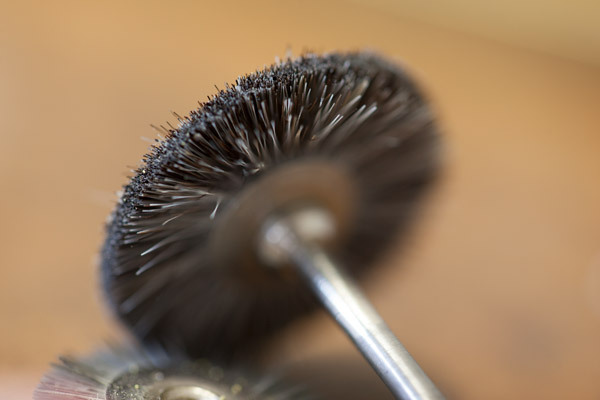 The surface created this way allows for a perfectly polished finish.